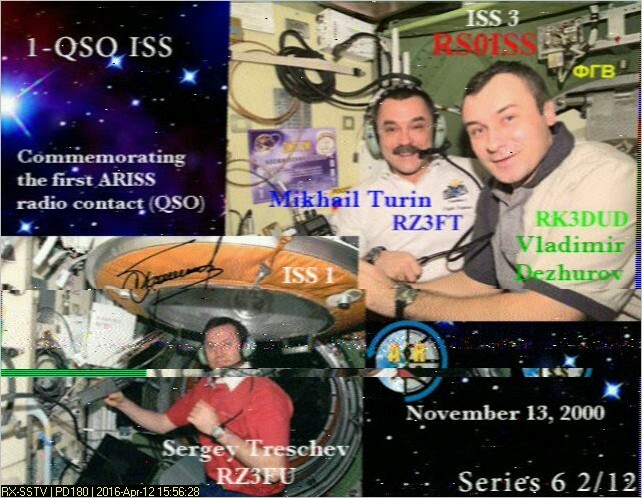 ARISS Russia is planning a special Slow Scan Television (SSTV) event from the International Space Station Station starting around 09:00 GMT on Friday, June 29. It was originally planned to finish at 18:30 GMT on Sunday, July 1 but as of July 7 SSTV transmissions were continuing. The equipment will be required for a school contact on July 13 so SSTV transmission may continue until then. Supporting this event is a computer on the ISS Russian Segment, which stores images that are then transmitted to Earth using amateur radio, specifically the onboard Kenwood TM-D710E transceiver. These images will commemorate the various satellites that were hand-deployed from the ISS. These will include the first satellite deployment from ISS: Suitsat-1/Radioskaf-1 which was developed by ARISS and deployed in February 2006. The transmissions will be made on 145.800 MHz FM using the PD-120 SSTV mode.